Should some secrets stay secret? And is it treasonous for news operations to report on leaks of war documents when their countries are at war? These questions arise, of course, because of the release of 92,000 documents about the Afghanistan war by WikiLeaks, in coordination with London’s Guardian, the New York Times and Der Spiegel. The ugly affair raises still further questions about what constitutes patriotism, how the Net makes high-quality journalism tougher to practice, and what governments will now do to try to bury their secrets even deeper. First off, did the papers act properly? At first blush, it appears that at least two of the organizations — the Times and Der Spiegel — were maneuvered into this joint release. The instigator, it seems, was The Guardian, which had learned that WikiLeaks leader Julian Assange intended to release the papers unfiltered on his Swedish-based Web site. The editors at the Guardian suggested the joint release, apparently persuading Assange that he would make a bigger splash that way. This, at least, is the account given to PBS. The papers then faced some tough choices: first, do they release the documents, along with their own independent reporting and analysis, and, second, do they share the information with the White House, giving the government a chance to react? On the first count, it seems that the papers really had no choice. After all, the documents would be out on the site no matter what the papers did, and, most likely, they would appear in print (since none of the three competing papers could trust the others to hold back). In short, WikiLeaks held the cards in this high-stakes poker game and it played the papers against one another. Then the question was, what should the editors do with the information? The New York Times contacted the White House and got its reaction – its take that there was nothing really new in the documents. The White House also did not ask that the Times hold back on publishing the papers (probably realizing the move would be futile). Instead, it got a chance to put its spin on the news, likely hoping to quash the whole matter by offering the “nothing new” take. Certainly, the troops wouldn’t be surprised (see Ed Stein’s cartoon above). 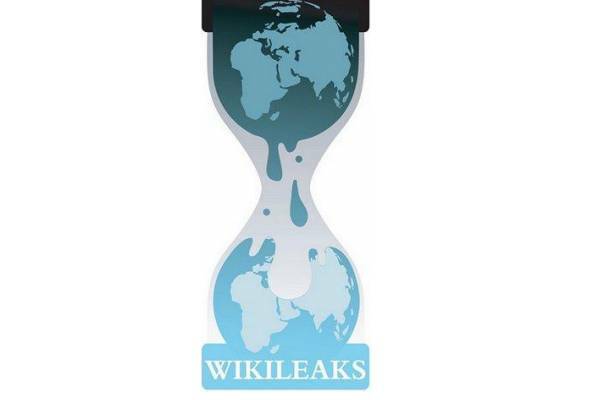 For his part, WikiLeaks’ founder Assange said on MSNBC that about 15,000 reports were withheld because they could have revealed the identities of Afghans who have aided U.S. forces and exposed them to “the risk of retributive action” from warlords or the Taliban. For a better sense of who Assange is and what drives him, check out an interview he gave to the folks at TED, the conference organization on the West Coast. Seems to me there’s no doubt that the leak of the papers in the first place was treasonous. If proved to be the source, Pfc. Bradley Manning will likely spend the rest of his life in jail. The Army intelligence analyst, also suspected of leaking a video a few months ago of a couple Reuters photographers being killed in Baghdad, will be lucky – in other times, he’d be shot. 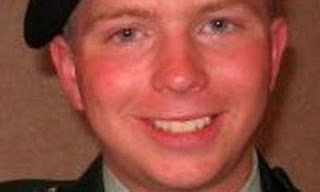 Now, one would guess, the Obama Administration won’t risk making Manning, an impossibly baby-faced twenty-something in his AP photo, into a martyr. Some of Manning’s friends, too, may be implicated, and one wonders whether they had a duty to inform on him before his alleged leaks. As for WikiLeaks, the legal situation will be tricky but it seems the U.S. can do little against it. Even if Swedish authorities try to muzzle the site, some there, such as Sweden’s Pirate Party, are already offering help. Of course, Assange might never again be able to travel to the U.S. or perhaps to his Australian homeland, since he could be picked up for various violations. Australia is part of the coalition fighting in Afghanistan. Indeed, one has to wonder just where he can go in the West without being pursued. For my part, it seems clear that the leaks could not be stopped once insiders in the military or elsewhere in the intelligence establishment made up their minds to release the papers. If it hadn’t been for WikiLeaks, someone else in the anything-goes Net universe would likely have found a way to help them surface. At that point, the news organizations acted well in doing what savvy reporters do – they put the documents into context and fleshed them out. Yes, the newspapers were played by Assange. But they gave the public a far richer and more useful account than he would have by releasing the documents alone. In the case of the New York Times at least, the U.S. government also had a chance to frame the discussion and attempt to minimize the damage. Will anything change now? It seems some Afghans will be in danger. Pakistan’s intelligence service is likely embarrassed and angry. And the U.S. intelligence agencies will now seek stronger means to keep secrets under lock and key. But, unlike the Pentagon Papers, revelations seem few and there’s little in the papers even to strengthen the case of the antiwar folks. President Obama’s war in Afghanistan has been messy from the start. Too few forces to begin with. A publicly revealed deadline for drawdown. A military leadership that was anything but politic. Unless his plans for military victory start paying off soon – with real gains against the Taliban and Al Qaeda — the WikiLeaks affair will go down as another troubling turn — probably a small one — in a painful, prolonged and maybe doomed battle against Islamist terrorism. This ethical contretemps pales before that ugly reality. McGraw-Hill: Time for a Deal? It’s only business. But that was a hard and personal lesson for many staffers at BUSINESS WEEK Magazine. It may yet become a tough lesson for the leaders of McGraw-Hill Cos. When McGraw-Hill, my employer of 22 years, cut BW loose by selling it to Bloomberg last year, plenty of BW folks felt betrayed. They had committed their careers to the magazine and bought the argument of leaders there that the eighty-year commitment the McGraw family had to the weekly was a forever thing. So long as a McGraw was in charge, McGraw-Hill (MHP) would never sell it, the leaders counseled. Well, they were wrong, of course. BW, viewed at McGraw-Hill as just another money-losing Internet victim, was quickly snapped up by the business wire. And soon, despite assurances from the Bloomberg camp that the deal was more about buying talent than a big brand name, most of the 200-plus BW vets were let go. It was a harsh dose of the business world’s version of realpolitik, the kind of thing BW folks had reported on but that few of them had experienced. With its formidable global reporting force, Bloomberg just didn’t need all that pricey BW talent. Now, pundits are vaunting the idea that McGraw-Hill could – or should – be in someone’s sights. Pearson PLC, the $9 billion-a-year British publishing company, is one of the names floated as the perfect acquirer. Textbooks, synergies, global footprint, etc. Such takeover talk, which has long dogged $6 billion-a-year McGraw-Hill, seems as rational and predictable as Bloomberg’s interest in BW. The 101-year-old MHP has been struggling lately with single-digit declines in both net income (down 8.6% last year) and revenue (down 6.3%). It is perhaps sad, but former BW folks are likely salivating at the prospect of MHP’s demise as an independent company. Turnabout is fair play, as the British say. Even more than that, however, many BW vets have stock options that have been underwater for a few years now [full disclosure: as former chief of correspondents for the magazine, I’m among them. I took a modest number of options with me when I left last year before Bloomberg appeared on the scene]. MHP’s shares traded as high as $72 in mid-2007. They now struggle around $30, after dipping below $24 last fall. In purely stock-market terms, the company seems like a flatliner whose glory days are long behind it. McGraw-Hill’s challenges loom as high as BW’s once did (and still do). Uncertain prospects cloud the future for MHP’s once high-flying Standard & Poor’s ratings machine, given the vagaries of government regulation, general litigiousness and the tarring the ratings agencies have taken in the recent recession. The recently passed financial reform could cut its margins and expose it to more lawsuits, as S&P president Deven Sharma himself has recently warned (and S&P also warned about rival Moody’s in cutting the rating on the other rating agency giant, a peculiar irony). Prospects are also questionable for MHP’s storied textbook operation, given hard-pressed state education budgets and the march of the Net in the text realm. Flat stock prices? Who should be surprised? The big question, of course, is whether Pearson or someone else would see as much value in McGraw-Hill as Bloomberg did in BW. The jury is out on whether Bloomberg’s move was a smart one – so far, its main value seem to be putting the Bloomberg name regularly in front of 4.5 million sets of eyeballs at a bargain price. Pearson could likely eliminate a lot of duplication by folding MHP’s textbook operation into its line. As for S&P, that odd beast could be of use to Pearson (which owns the Financial Times along with the world’s biggest textbook publishing operation) or, perhaps, to a Reuters or other financial information service. Certainly, rating agencies are needed and, even without the crazy-days growth of the past and the threat of a litigious future, S&P seems valuable. Slicing and dicing MHP among a few acquirers might make sense. The atmosphere also seems right. Conditions are much different than 1979, when then-CEO Harold McGraw Jr. repelled a takeover bid by American Express. The popular CEO could rally his family and other loyalists and beat back the challenge. Given the recent anemic stock performance and dubious prospects at the company, current CEO Harold W. (Terry) McGraw III, son of the now-deceased Harold, might find fewer sentimental supporters nowadays. What’s more, the current CEO might do his family and friends a huge favor by putting his company into a global powerhouse that can do something with is still-valuable assets. Business has precious little room for sentiment, of course. McGraw-Hill taught that lesson to former BW lifers in painful fashion. If a smart acquirer could do more with the bits and pieces of McGraw-Hill, so be it. Certainly, that would be a better fate than watching the company wither into irrelevance. And for stockholders, the premium should at least take the price close to its long-gone high. A deal might be the business world’s version of justice.